When it comes to exercise, there are a few motivating factors that are universal among almost everyone. Some go to the gym to lose weight or look more attractive. Others go for health reasons; they want to be stronger or prevent the negative side effects of a poorly maintained body. However, there is one significant benefit to exercise that most people don’t have in the forefront of their minds — mental health. 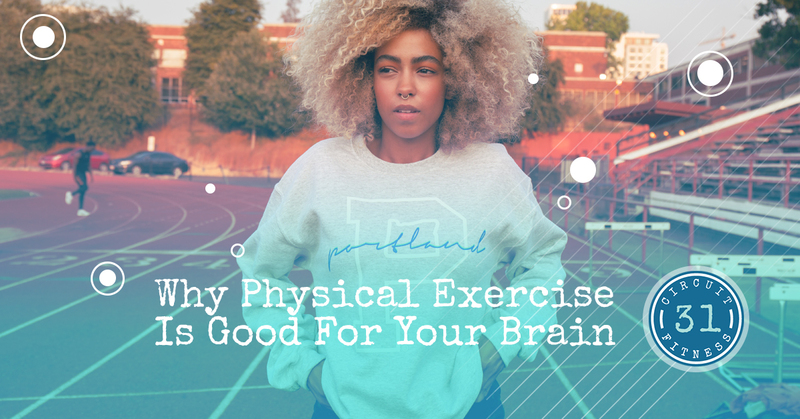 Exercise is just as beneficial for your brain as it is your body, and this should be a prime consideration when you’re debating whether or not it’s worth it to go to the gym. The most obvious benefit of exercise is that it tends to make people happier. No, really, it objectively makes you happier from a scientific standpoint. When you exercise, your body releases endorphins, which are a type of “happy chemical” that can alleviate symptoms of depression and make you feel all-around better. Happiness isn’t just something you choose; it’s facilitated by certain chemicals in the brain, and certain lifestyle choices can help those to come out, and working out is one of them. Been feeling blue? Try hitting up your nearby gym! It’s no secret that our bodies start to wane in effectiveness as we age. One tragic side effect to aging is that your brain growth slows, and can even shrink, leaving your mental faculties less acute than they once were when you were young and spry. However, research has shown that brain growth is correlated with physical cardio exercise. In other words, the more you work out, the less your brain will be affected by aging. One significant factor in this is blood flow; cardio increases blood flow, thus delivering more oxygen to your brain, which is essential for its efficacy. The stress-relieving properties of exercise aren’t just psychological. In fact, working out has been shown to reduce cortisol levels in your brain. You can think of cortisol as the physical embodiment of stress in your brain. The more stressed out you are, the more cortisol you’ll have, which can cloud your thinking and cause anxiety or forgetfulness. Feeling sour? Going to your local gym can be a wonder cure! Executive function, in a nutshell, refers to the motivational and decision-making part of your brain, located in the prefrontal cortex. If this is your brain’s command center, then the chemical dopamine is the fuel that powers it. Working out has been associated with an increase in dopamine production. This helps us to feel happier, more motivated, and more capable of making productive decisions and focusing on them. ADHD is a condition that is characterized by low amounts of dopamine production, and it has helped us to see the link between exercise and executive function — people with the condition greatly improve their dopamine deficit by hitting the gym. If you’ve been feeling down, it might be because your brain isn’t in an optimal state. A good workout routine can go a long way in helping you to feel happier! At Circuit 31 fitness, we’ve seen exercise work its magic on countless clientele in the Allen area. Contact us or stop by today!